First Listen: Eric Benet and Korean pop star Babylon sing "Everything"
(December 3, 2018) In his two decades in the spotlight, Eric Benet has become an international star, particularly in the Far East, where he has created a special relationship with fans, even issuing special music releases for audiences there. His influence was recently captured when Korean pop star Babylon - a generation younger than Benet - asked Eric to duet on the tender, piano ballad "Everything." We missed the single when it first came out a few months ago, but it is interesting enough that it is worth bringing it to SoulTrackers, especially Benet's legion of fans among our readers. 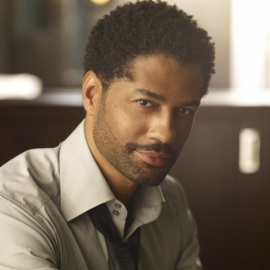 "Everything" is a pretty by-the-books love song, but it is also a reminder of just how Eric Benet can wrap his supple voice around a song, gliding in and out of falsetto beautifully. This sounds like a wedding song candidate for 2019. Check it out below and tell us what you think.